On the streets of Seoul last summer, it was easy to spot a person wearing Toms, the minimalistic canvas shoes famous for the CEO’s philanthropic work. For every shoe that a person purchases from Toms, another shoe is donated to someone in need. They were a big hit overseas and in Korea, where the Toms business model has inspired many social start-ups. Soap Companion, or SoCo, is one of such ventures. Based out of Seoul, the company produces quality soaps with pleasant natural fragrances. They also donate their products to developing countries. For every bar purchased, another is donated to a child in need. 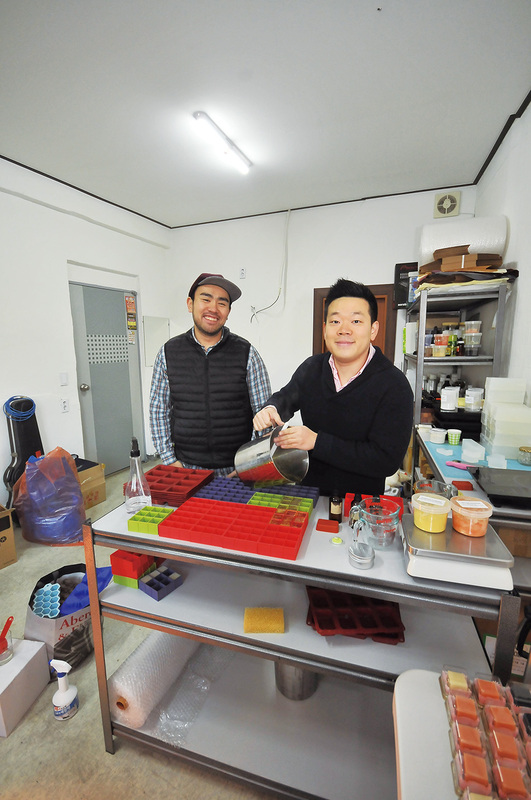 SoCo is managed by two young entrepreneurs, Jung Myong-jin and Sangmin Lee. As stated in their company motto, they want to change the world one bar of soap at a time. I think it’s healthier to stay humble and stay low, then slowly start developing your ideas. 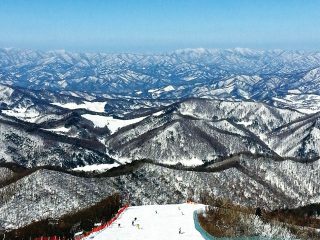 Jung returned to Korea with his new experiences embedded in his memory. Intent on going to grad school, he one day visited a bookstore to buy textbooks. That’s when he came across a book, “Start Something That Matters,” by Blake Mycoskie, the founder of Toms Shoes. While reading the book something clicked in Jung’s head. “I thought, ‘Wait, we wear shoes every day, we use soap every day. Maybe the principle of Toms Shoes is applicable to soap.’” He recalls. That day, instead of buying GRE material, he bought 12 books about soap-making. He started taking classes as well, and within several months he became an expert soap-maker. Reality, however, often countered their altruistic ideas. Although people agreed with SoCo’s vision, they didn’t necessarily want to contribute. Regardless of SoCo’s cause, people chose cheaper products from bigger companies. Sometimes, sales went down to only a few dozen bars a month. That’s when Lee came in. He came to Korea in 2005 from the U.S., looking for business opportunities. A trip to Cambodia, however, changed his priorities. “Seeing people in Cambodia, living life with them, I was able to reasses what’s important in life,” says Lee. The two entrepreneurs decided to divide and conquer; they took roles that fit their personalities. Jung took over product management, and Lee took over the networking. They started targeting businesses rather than individual customers. “We’re changing our business model. We’ve worked with a lot of restaurants, coffeehouses and smaller companies,” says Lee. They’ve received very interesting requests from their clients. One time, a notepad company requested a specialized soap that smells like ink. “It’s a blend of cedar wood, pine and something citrusy like bergamot. It’s very woody,” explains Jung. “We created something that has this image of an antique library.” A fitness company once requested a specialized soap for weight lifters whose hands get torn up. SoCo used lavender oil and rosewood to create a soothing effect. Recently, they collaborated with Han Bue-yeol, an artist with autism, and put his eye-catching drawings on their packaging. SoCo recently extended their product line to include candles, collaborating with Vision Care, an NGO that provides cataract surgery to those in need around the globe. For every candle someone purchases, 10 percent of the profit is donated to pay for surgeries that restore vision. Many people wonder why SoCo is not an NGO, or why they don’t receive government support. “The thing about NGOs is that funding determines what they do. We’d be driven by funding, not by our vision or ideas,” says Lee. Many ventures come and go, but for SoCo, it took time and perseverance. “I think it’s healthier to stay humble and stay low, then slowly start developing your ideas.” says Jung.